French doors have been around since the 17th century and their popularity amongst homeowners doesn’t seem as if it’s going to die down any time soon. 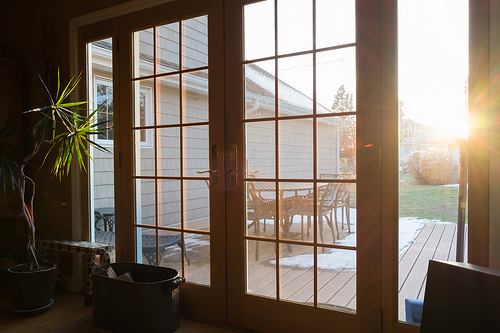 It’s not hard to see why countless homeowners have chosen to incorporate French doors into their home and there are a few different reasons why you might choose to update your home with them. Where can French doors be used? French doors are double doors made from glass panels, with usually a wooden, plastic, aluminium or steel frame. These functional doors are pretty versatile, since they can be used in lots of rooms in the home. Most often, they are used as an exterior door, for example, from a living room, kitchen or conservatory to the garden. But, they can also be used to divide two rooms, such as a living and dining room, or upstairs in a bedroom to open out onto a balcony or veranda. It’s the ability that French doors have to open up a space which has made them so popular today. Lots of people add French doors in their home to open up a living space. Instead of having a wall to divide a room, or a panelled door, the French door can be used to either open or close the space, as required. The use of glass in the door gives the feeling of increasing space within the room, because you can see through it, rather than feeling like the dividing room is completely closed off. The effects of increased light levels in a room are well documented; it can make a room feel brighter, larger and more inviting. French doors, because of the mainly glass consistency, are an incredibly effective way of increasing the amount of light in a room. They are an attractive feature in a home and many argue can even increase a home’s value. This is without doubt one of the main advantages of having French doors. Many people boast that having French doors leading out onto a patio, garden, balcony or veranda is like bringing the outside in. On a warm, sunny day, flinging the French doors fully open can indeed make the garden feel like an extension of your home. The home feels light and airy and the open space is a great way to take advantage of warm weather and a great setting for those inevitable summer parties that will ensue. With the wide choice of French doors on the market today, they offer much more than just functional appeal to any homeowner. French doors can be used to incorporate a particular style or theme into a home. 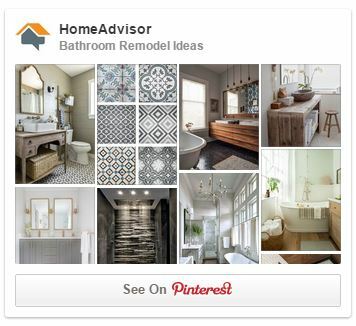 They can help to cement a look or design that the owner wishes to create. Some styles are ultra-modern, whilst others ooze a vintage feel. Colour choice of wood or type of frame can accentuate a cooling, minimalist look, or create one of warmth and depth. It’s the versatility that makes French doors a great addition to almost any style of home. When it comes to French door decision-making, you’ll need to weigh up a few aspects. For most people, price is often the most determining factor. Although it isn’t cheap to get French doors fitted, many people argue the end result is worth it for the benefits it brings, and the value it can add to your home. Think about where you want to put the doors. Consider the style of the room and the decor you already have. Choose doors that are going to complement this style and will blend in well with existing colour schemes. This article has been supplied A. Elliott for Vibrant Doors, suppliers of quality external and internal doors.